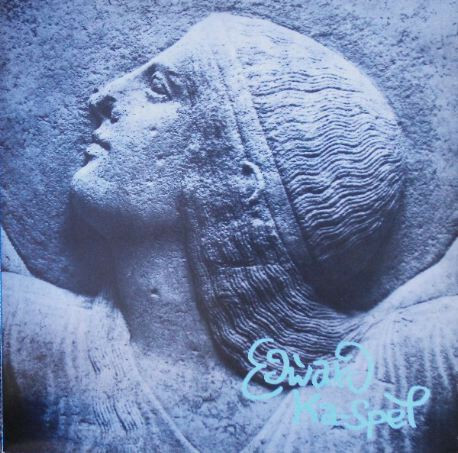 Laugh China Doll was Edward Ka-Spel’s first solo release, recorded in 1984. This first release was a limited issue of 2000 LPs on the In-Phaze label that quickly disappeared, including the master tapes. The tapes were eventually tracked down, but had been stored in a leaky garden shed which had turned them into a demagnetized stew. For the first reissue on vinyl in 1989, the engineer resorted to mastering the LP from several good copies of the original pressing, just like the professional bootlegger. The only difference was the inclusion of a live version of “Suicide Pact,” as the original track had a pressing blemish. Now Beta-lactam Ring Records has gone one step further and worked with Raymond Steeg, the Legendary Pink Dots sound wizard, to completely restore the original release, as well as include Ka-Spel’s first 12-inch maxi-single Dance, China Doll, part of which was reissued in 1989 on Perhaps We’ll Only See a Thin Blue Line. The result is an almost digital quality recording of these early EKS masterpieces. All of the classic Ka-Spel elements are here and sure to please any fan of EKS and the Legendary Pink Dots: twisted views of life through the Terminal Kaleidoscope, EKS’ signature vocals, and simple melodies. And the rare treat is the one EKS song containing a duet with a female vocalist, “Even Now.” All in all, a welcome addition to the EKS CD catalog.